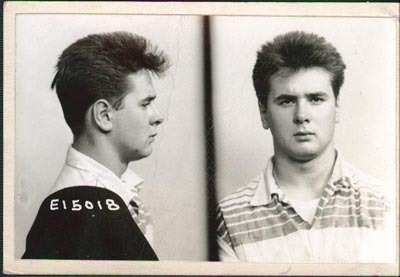 Over 300 images have been added to the Criminal Mugshots and Wanted Posters resource at Genealogy Today. Included are larger batches of mug shots from New York, Illinois (Joliet) and Ohio, along with a set of 20 arrest warrants from the early 1800's. This set of warrants is from Hampden County, Massachusetts. While many of the items I collect are acquired through a network of book/ephemera dealers, estate sale managers, book/paper shows and live auctions, I do manage to find some good stuff from eBay sellers. I say "sellers" because some eBay sellers don't list their best items. While they may be using eBay, many are still "old school" dealers and antique store owners that feel that the Internet isn't always the best place to sell collectibles. Still to come... a collection of 700+ mug shots from a Denver prison! p.s. Did you know you can search eBay from within my web site? Check it out!